A chronically-sick woman who wants to travel abroad for an assisted suicide is taking her case to the High Court. While judges decide if the anonymous woman should be able to go abroad, there is widespread public support in the UK for doctors to be allowed to help patients end their lives. However, many in the medical profession remain firmly opposed. Most Britons believe terminally-ill people should be allowed to ask for medical help to die. A string of opinion polls over the past 20 years suggest as many as 81% would support a change in the law to make medically assisted dying legal. And a recent study by the Voluntary Euthanasia Society suggested nearly half of people are ready to break the law to help terminally ill loved ones die. But it is a road politicians and successive governments appear reluctant to go down. Under British law, medical staff are allowed to withhold treatment from patients if they believe it will cause more harm than good. Patients are also entitled to refuse any treatment they do not want. But what is not allowed is for doctors or nurses to actively help patients to kill themselves. There have been numerous attempts to change the law. Currently, the House of Lords is considering the latest attempt - Lord Joffe's Assisted Dying for the Terminally Ill Bill. However, like its predecesors, without government support, it may struggle to reach the statute book. While the public appears to be firmly in favour of medically assisted suicide, both the British Medical Association and the Royal College of Nursing are strongly against. Both organisations claim simply to reflect the opinion of the overwhelming majority of their members. Surveys on the subject give a mixed message. A survey by Nursing Times magazine, published last year, found although two-thirds of the 2,709 nurses surveyed believed voluntary euthanasia should be legalized, just one in three wanted to be allowed to help terminally ill patients to commit suicide. And a poll of doctors by the anti-euthanasia group Right to Life, also published last year, found just one in four backed legalisation. However, 55% thought physician assisted suicide should be permitted when a person has a terminal illness with uncontrollable physical suffering. "It goes against their ethical code," says Dr Kenneth Boyd of the Institute of Medical Ethics at the University of Edinburgh. He said: "Quite a number would be prepared to do it but others would be very reluctant for ethical and psychological reasons. "They would be afraid it would become a slippery slope." The voluntary euthanasia movement says there has been some softening of opposition from the medical profession. Campaigners point out that Royal College of Physicians and the Royal College of GPs have both dropped their opposition to Lord Joffe's Bill, adopting instead a stance of studied neutrality. They also cite a VES poll of doctors published in October which found 45% of those questioned believe some colleagues are helping terminally ill patients to die - and that 56% were in favour of some form of regulated physician-assisted suicide. But the pro-life campaign pointed out that the survey was based on a self-selected sample - and certainly, whatever some doctors may believe in private, very few are pepared to voice support for life-ending intervention in public. Last year, a senior member of the RCN sparked a furore when she suggested the law should be changed. The RCN quickly distanced itself from her comments. 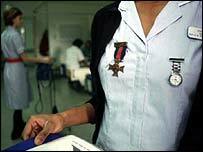 Speaking at the time, Beverly Malone, its general secretary, said: "The RCN is against euthanasia and assisted suicide. Euthanasia is illegal and the RCN does not condone it." The BMA, for its part, has been vigorously opposed to euthanasia for decades. Four years ago, senior members met to review its position on the issue. They backed the status quo and reiterated their opposition to any change in the law. There appears to be little demand for that policy to be reviewed. "We have a firm policy on euthanasia," says a BMA spokeswoman. "We believe it would adversely affect the doctor-patient relationship. "Our position hasn't changed and we are not receiving any calls from members to change it." 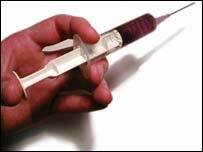 The Royal College of Physicians and the Royal College of GPs set up a working group to examine the issue in 1998. It too concluded that there was no case for the law to be changed. "There has been little change in medical opinion on euthanasia or physician assisted suicide," says Dr Anthony Cole of the Medical Ethics Alliance, an anti-euthanasia group. "The fact is it would undermine the basic ethos of a caring profession and it would lead to a deterioration in the doctor-patient relationship. There is little support for it." Nevertheless, surveys suggest that given the right circumstances some medical staff may be prepared to help terminally ill patients to die. A survey carried out by The Sunday Times six years ago suggested 15% of doctors had helped patients to end their life. Another poll for a medical magazine, published a year earlier, indicated that almost half of GPs "eased a patient's death in some way". With public support for a change in the law to enable medical staff to do this legally, this is an issue that will run and run. The medical establishment like politicians will face continued calls to change their views on medically-assisted suicide. "They need to keep it under review," says a spokeswoman for the Voluntary Euthanasia Society. "Over 80% of the public support the right to choose to die. It is about patient choice."